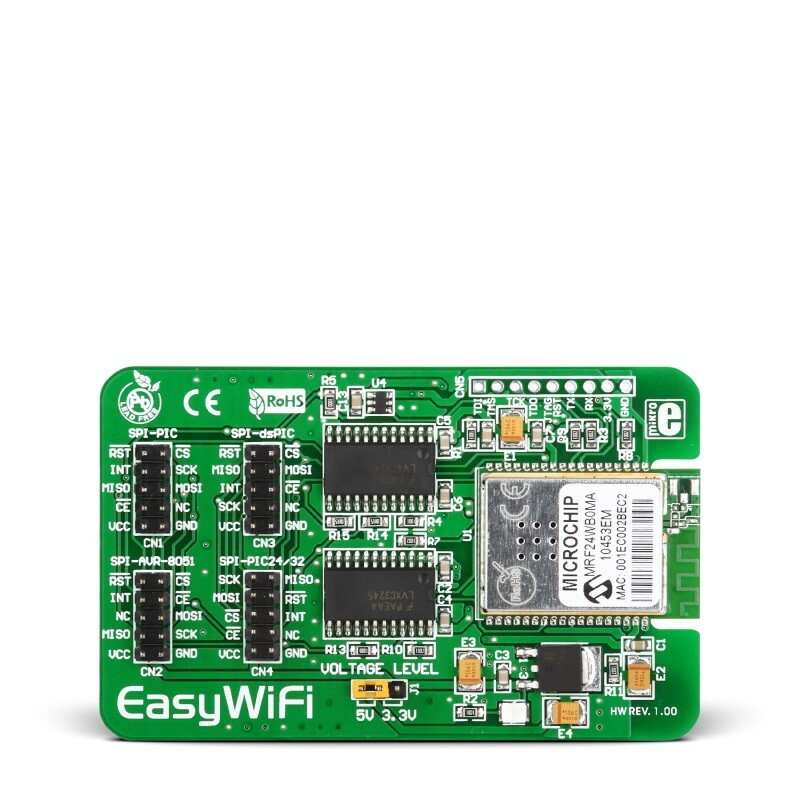 EasyWiFi Board is a all-in-one wireless 2.4GHz 802.11b solution with high-speed voltage translators, making it suitable for most microcontroller architectures. It carries MRF24WB0MA Wi-Fi radio transceiver module with integrated PCB antenna, matching circuitry. Board uses 4-wire SPI interface connected with IDC10 connectors compatible with all mikroE development boards. Board uses 4-wire SPI and UART interface for communication. Key Benefits Easy integration into final product – accelerates product development, provides quicker time to market. Great performance and reliable operation.